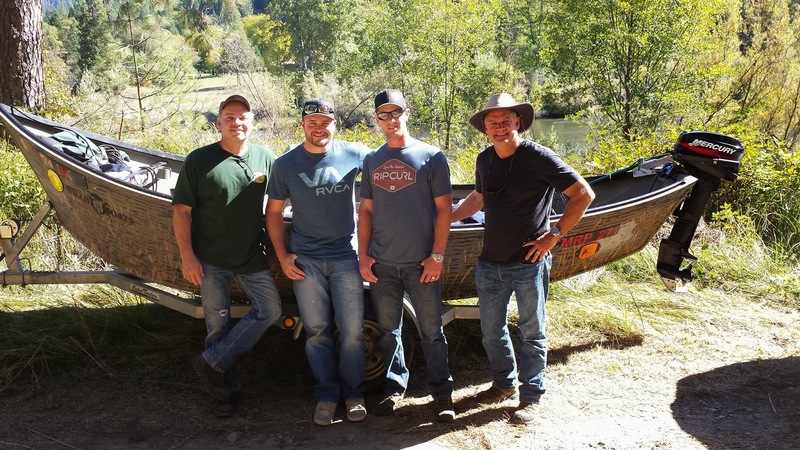 Klamath River Salmon and Steelhead Fishing. The Klamath River Fishing is heating up, we have been boating 30 to 50 fish a day. The fish are coming in as a mixed bag, salmon and steelhead both. The combo trips this time of year are awesome, were else can you go right now and catch both species? We have been living the dream here on the Klamath River and will continue to do so for a couple of months. You still have time to check it out, give us a call today. Its time for another Klamath River Fishing report folks. The middle section of the Klamath River is fishing like you wouldn't believe. We have got the salmon spawning and the steelhead stacked up waiting for and easy meal right below the salmon beds. We have been seeing some impressive numbers of adult steelhead and countless half-pounders. The action is non-stop and most folks have been crawling out of the boat with sore arms. We have some new guides working for us this year so if you want to see what the famous Klamath River has to offer give me a call. The fishing should be good for 2 months. Its been a few days since the last report folks so here it is. We have been seeing steady fishing on the middle section of the Klamath River for the last two weeks. The bite has really turned on over the past three days, with each day getting progressive better. The Klamath River Fishing offers endless opportunity for all anglers. We have been getting salmon and steelhead daily side-drifting and we have also been picking up adult steelhead on swinging fly's. We have 12 days left to fill this season so give us a call if you want in on some of this action. The steelhead season is well under way on the Klamath River, we fished for steelhead and ended up getting some salmon to participate as well. 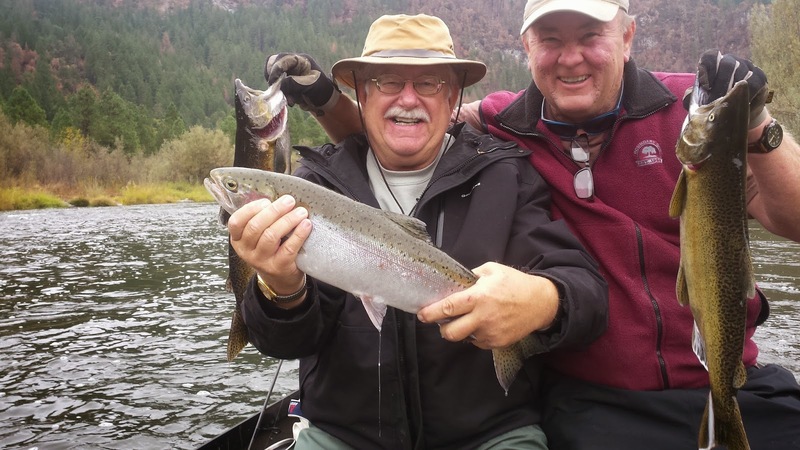 The Klamath River Fishing is always good and the famous half-pounder season is known for action packed days. We ended up with 6 adult steelhead, 5 salmon and countless trout on the MIGHTY K. The next two months is going to be a season to remember. We have 12 days left to fill for our 2014 season so if you haven't booked yet give me a call.